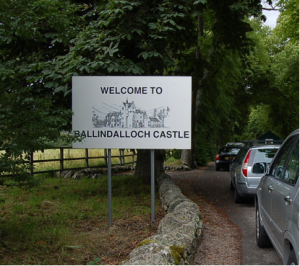 Join our Virtual Mystery Contest Tour - with personal pictures & stories from the authors - and get an online taste of the June 5th 2012 Ballindalloch Bloodlines – Touch Not the Cat book event ! Winners of the contest will receive a special signed copy of the book. The answers are to be found in the genealogy mystery novel Bloodlines – Touch Not the Cat (including the reader’s notes). Copy & paste your answers into a mail to: info@touchnotthecat.com with subject: mystery contest. The 7 winners of a Ballindalloch June 5th 2012 signed copy will be informed by mail no later than July 31 2012. When given permission by the winners, the names will be published on this website in August 2012.